Hi guys, thank you for sticking this week out with me, today is Thursday and one more sleep before the weekend is here (you will still have to get through a full day at work before the weekend starts, but its almost here) so hang in there. 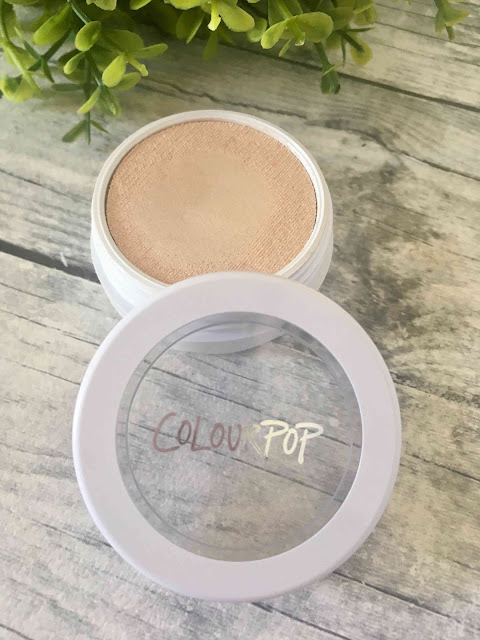 On my discussion list today is the highlighter that came in my ColourPop purchase, its very much talked about on YouTube and I had high hopes for it. Packaging: The packaging on these super-shock poducts are mostly all the same. It is the distinctive white packaging with the screw off lid. The middle is see-through with the holographic brand name printed on top of the lid. I can appreciate the screw on lid as these products are essentially cream products with a powder finish. If you do not close these lids properly, the product will dry out. At the bottom of the pot / jar is the name of the product. Application : Like I have mentioned before, I have terrible texture on my cheek and most highlighters accentuate that, so right off the bat this highlighter had big hopes to live up to. 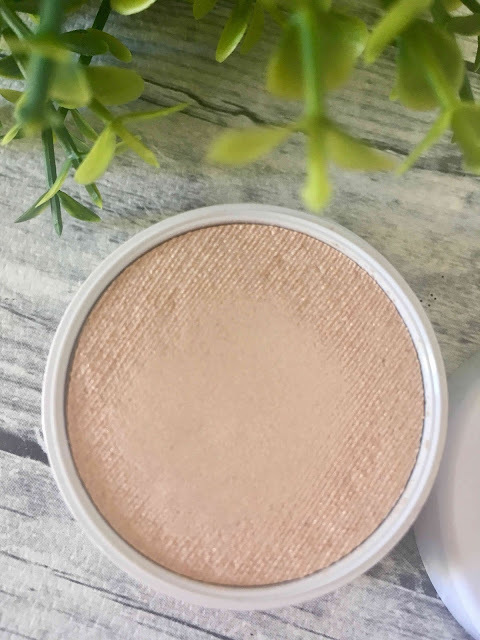 I have tried it with a duo fibre brush as well as with my finger tips and I am not convinced that this is the best highlighter for my skin at this moment. Do not get me wrong, its pretty and looks natural but there is some issues that I need to work on before I can enjoy this product. Staying Power : I feel that at this point is a bit unfair to judge as there is a lot of factors that influence the staying power of a face product. Things like skin type, which primer and foundation you used, if you set your makeup, all these things influence the longevity of any face product so I will be cutting this one some slack. I feel that I have one of those faces that "eats" foundation, so naturally anything that is on top might not last as long as I want it to. I think that it can be intensified with a powder highlight on top and that might help it a bit to last longer, but it does not really need to as you can wear this as a natural highlight or kick it up a notch and beam towards the heavens. 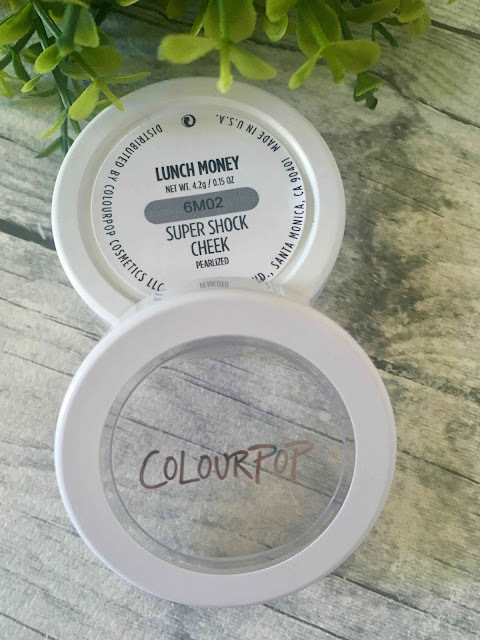 Formula : This is the same formula as the ColourPop super shock eyeshadows - a cream to powder product. Its gentle on the skin and a sort of "no muss, no fuss" kind of product. You can use a brush for a very natural look, or use your fingers for a more intense look. When you press too hard into the pan with your finger, it will make an indent and move the product around. I find it mesmerizing how it can feel moist and damp in the pan and then when I swatch it, it completely feels like a powder, its super awesome. Feel : Its very light weight and has got no sparkles, two attributes I can really appreciated. You can see in the photo above, its very natural and pretty. Now here is my problem and the reason I am not completely sold on this product. Although it is extremely pretty and I would love to smother my face in it, the texture left behind from acne scaring on my face is just a pain in my behind sometimes. This product accentuate those scaring terribly and I go from a normal looking person to psycho in two seconds. The other problem I have is my already oily skin, I naturally "shine bright like a diamond"! Throw in a highlighter and its disco all day. I would however like to find a way to wear this as a face highlighter as it's a stunning inner corner highlighter or cupid bow highlight when used in moderation. Now the last issue I have is the fact that this product kind off settles into fine lines and it grabs onto dry skin. I have used it on my fore head (you know, that part between your eyes but above...) and on the bridge of my nose, and lately I am a tiny bit dehydrated there, so it clung like a first grader that cant let go of mommy. 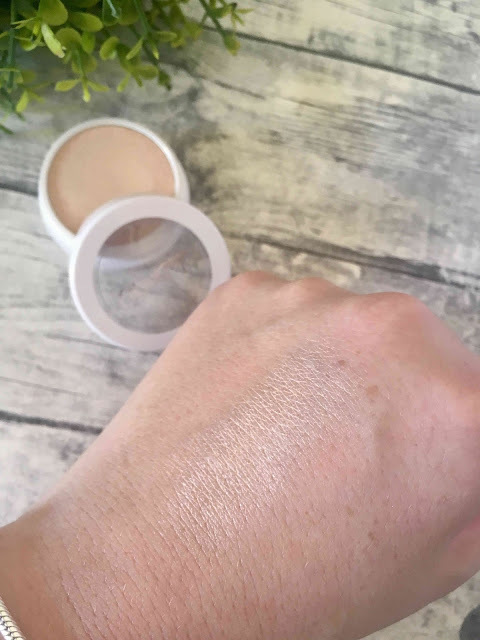 Hmmm, on my hand it look stunning and I so badly want to make it work, but at this moment it is not my favorite, but this is due to my skin issues rather than the product I think. Color Range : ColourPop has got a couple of highlighters in different shades, they also have gorgeous blushers and bronzers. I recommend you check them out if this is something you might be interested in. Pricing & Where to find: This highlighter retails for $8 and you can order it directly from the ColourPop website or you can contact a third party seller here in South Africa, Im sure they will have stock as this is one of ColourPop's best sellers, so its always in demand.